Two Tigers Down . ..
Where.. . Why.. . How? 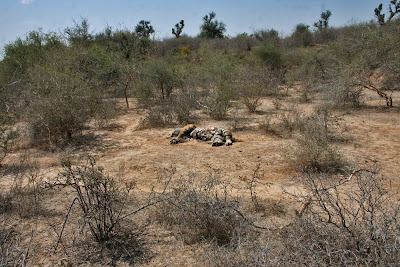 2 tigers were found dead in Village Talda khet, which comprises of just 5 Gujjar families. The age of tigers was about 2 year old. 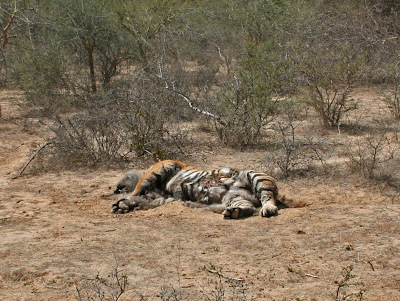 No external injury was found on the tigers, and the bodies were in almost decomposed state. Almost decomposed body found after 2 - 3 days - shows the lack of monitoring?! 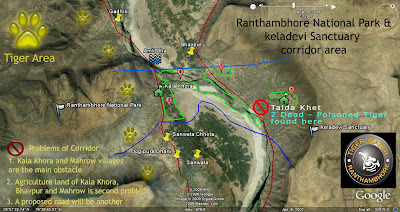 Satellite map of the village where the 2 sub adult cubs were found dead due to poisoning. This is exactly the same place where a few days back a road was being constructed between Keladevi Sanctuary and Ranthambhore National Park, this village is just at the fringe of this corridor. Since 3 months, these cubs were going with their mother and used to halt in the area... These tigers were frequently visiting this Ravenous area.. . One side is Vindhya range and other side is a river flowing..
Forest Department has accepted that it is a poisoning case. 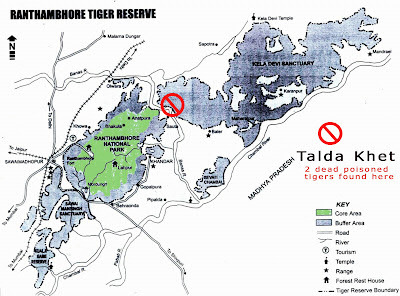 1) The two sub adult tigers were visiting that area since 1 ½ months did they improve monitoring? 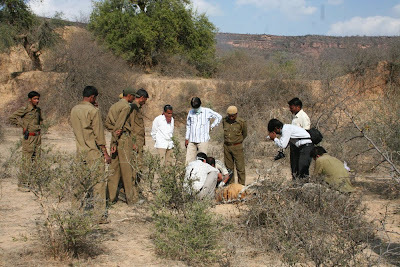 In my understanding – Lakshmi Pandit, forest guard - was the only one monitoring that area. 2) Did they have dialogue with the resident villagers? 3) Did they leave a monitoring vehicle in that area? In my understanding – All the monitoring vehicles are busy in tourism or getting vegetables in the houses of the officials. 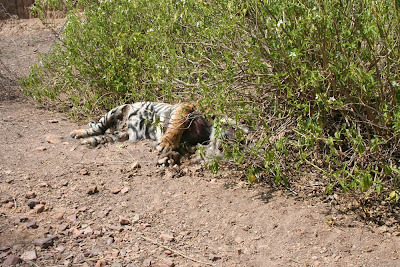 In my understanding – they have no ground plan as to how they have to shape Ranthambhore’s future. 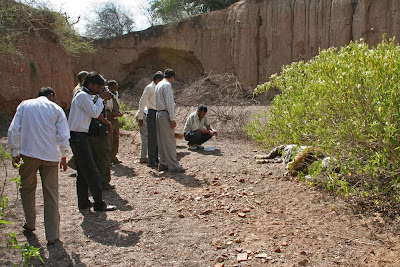 5) There is tremendous construction inside the Ranthambhore National Park and the tigers are disturbed and forced to move out, has the department understood this and done something about it? 6) If they were going in an area which does not have a prey base - there are no spotted deer and no sāmbhar deer’s, how many domestic animals did they kill and how many of the villagers got a cattle compensation? The unacceptable thing in this incident is that the people who are appointed for the monitoring of tigers are busy with tourism and other jobs.. .
Who are the culprit - The village has 5 brothers - Hari Gujjar, Ramcharan Gujjar, Mangilal Gujjar, Kedar Gujjar and Surjan Gujjar. Ramcharan has been arrested. The goats belonged to Mangilal Gujjar and Surjan Gujjar while 2 sons of Surjan are arrested. I am deeply in pain and angry at the same time !! I am really worried about the mother .. Pls keep us posted ! It is really sad........ Pls keep updated us. At a time when people are wanting not to lose even one tiger we get to hear the news of 2 tigers killed. Heart sinks with such news. Simply horrible. The state of tiger poaching is so demoralising. saddens deeply to keep encountering total lack of value for life and mother nature. 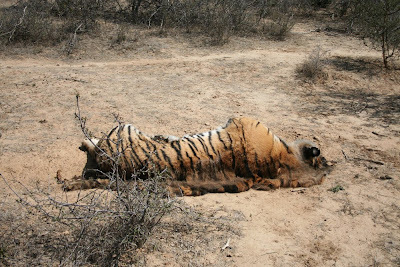 If this is the state that our tigers are in, then it shows the kind of arrangements that our government has done to save the last 1411 tigers.Its a shame that we have still not awaken to the need to save our national animal. Such a tragic set of circumstances especially when the numbers of wild tigers in India and other Asian countries is in such rapid decline. Surely the time has come to fill all the vacancies within the forest department with young, conservation minded local people with a keen interest in preserving India's few remaining wild tigers and National Animal. Great news!!! When the whole country is dead against any sort of voilence to the the tigers, this incident comes as a shock! We need to make the forest officials responsible for monitor take accountability for this incident. This should be a lesson to other forest official who thinks they are smart. Unless the punishment gets stricter, these people will never change. this is really sad...the culprits should be punished to set an example..
Pitiable, shameful, regretable - frustrating. It is very unfortuante that such killing happens regularly all over India.Not sure whether we can bring change in midndset of the villagers. Two more down from our count in TIGER year. Is some body listening this from Authorities.